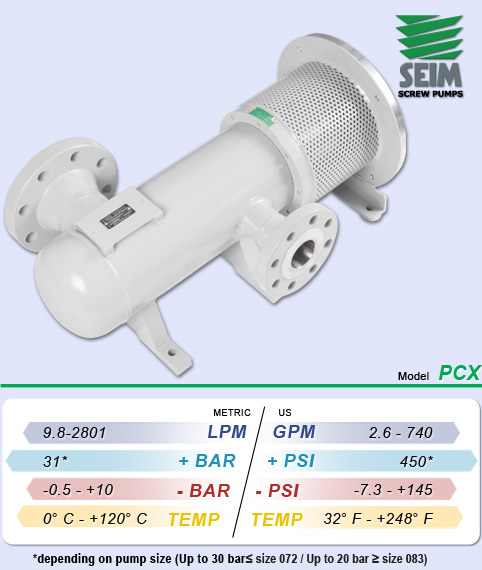 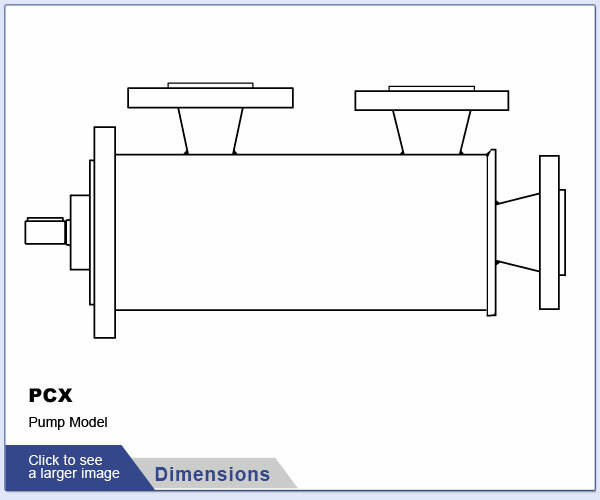 The SEIM PCX Series screw pump is a three-rotor screw pump for a low/medium pressure pump for lubrication systems. 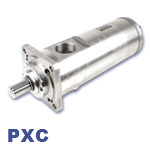 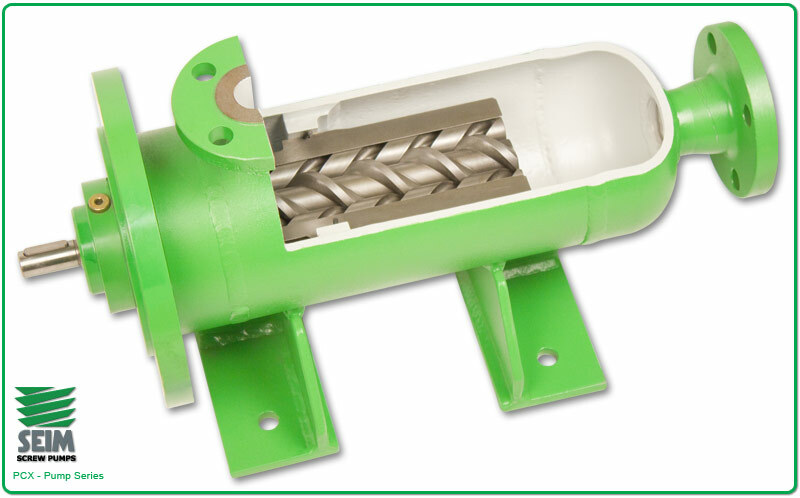 The PCX pump body is made from carbon steel. 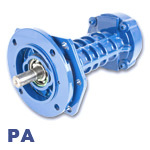 Other materials are available depending on your needs and is available standard with ANSI connections; DIN connections are also available upon request. 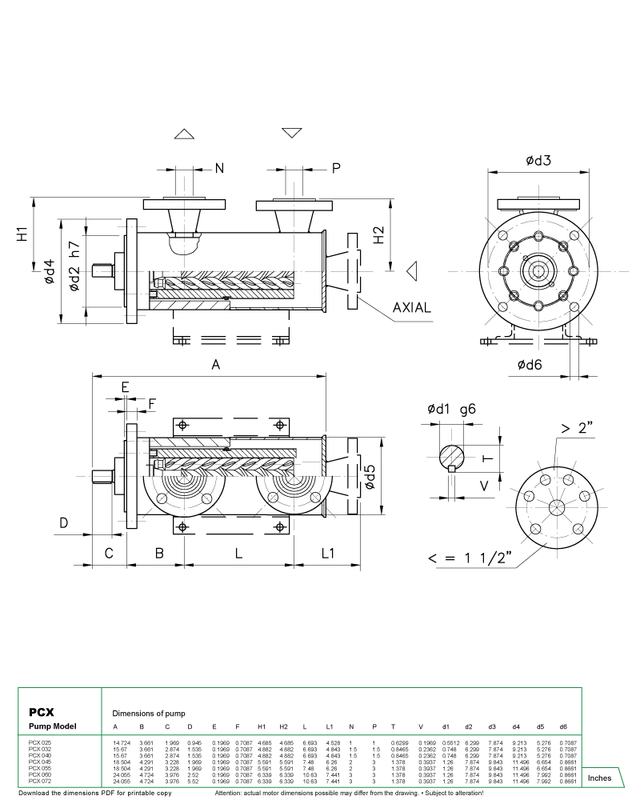 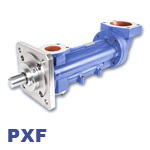 The PCX's inlet port is available in either axial or radial configurations. 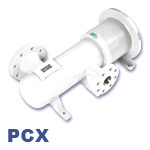 During operation, the PCX entraps air bubbles inside it's body to suppress system noise and operates at 2.6 to 740 GPM at pressures up to 450 PSI at a temperature range of 32° to 248° F and is for use with high viscosity fluids. 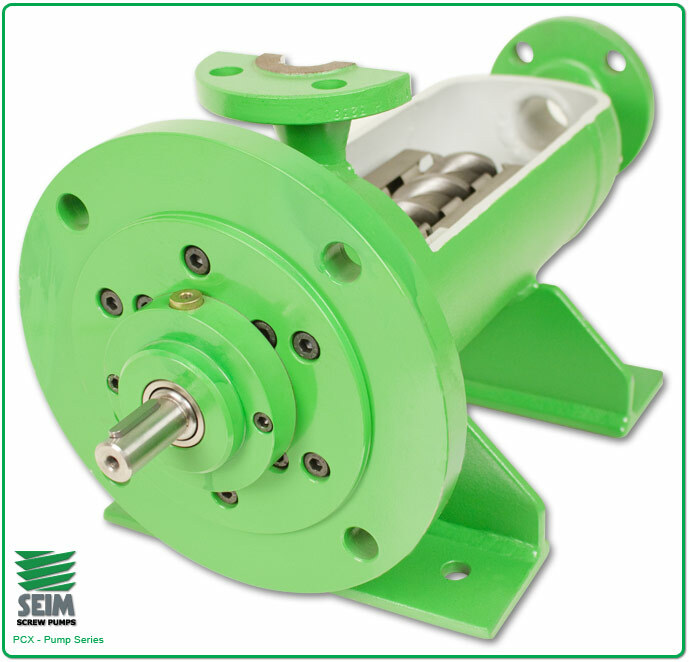 SEIM screws pumps are volumetric self-priming pumps suited to handle oils and fluids with a minimum lubricating property. 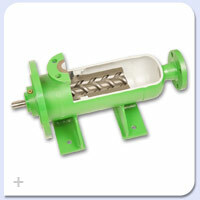 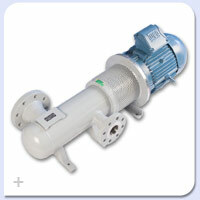 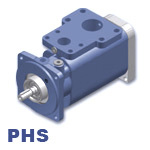 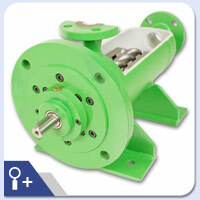 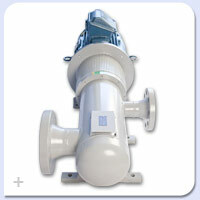 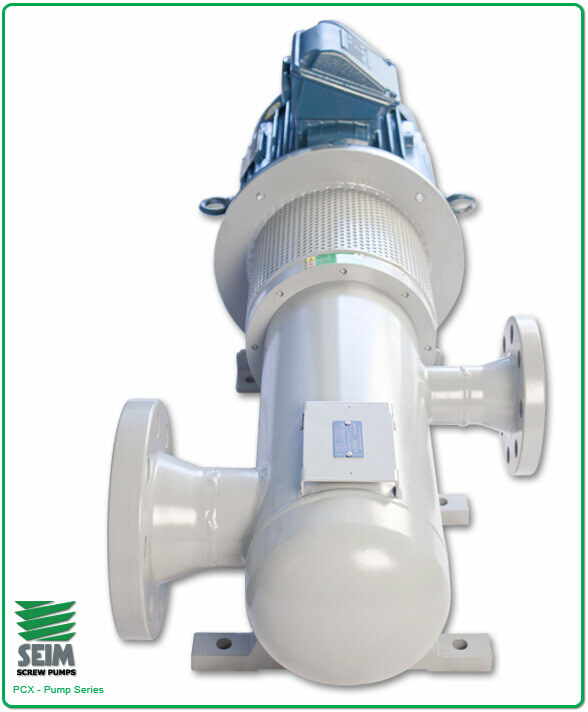 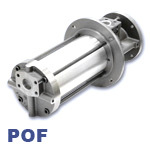 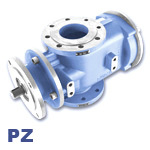 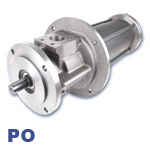 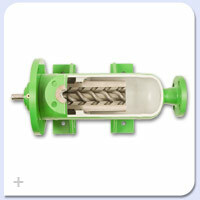 The pumps design makes them intrinsically reliable and efficient in their applications. 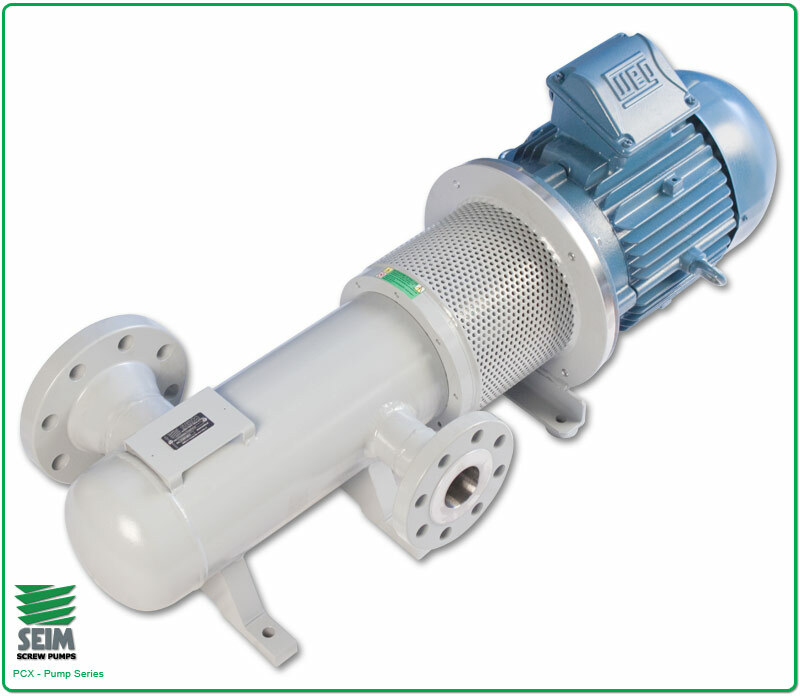 For over 30 years SEIM has been supporting the pumping industry with their innovation and expertise in the pumping and handling of oils and viscous chemicals. 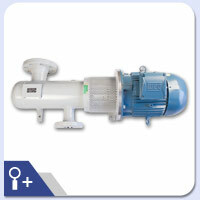 Contact a Shanley Pump and Equipment representative today at 847-439-9200.